If you are the antitrust lawyer for a defendant in a class action, defeating class certification is a major victory—usually a complete victory, pending appeal. You can read a more complete description of the requirements for class certification in our article on the class action antitrust case of Comcast v. Behrend. But before we talk about the North District of California’s class certification decision in In re Lithium Ion Batteries Antitrust Litigation, we will hit the highlights of the most common dispute in these type of cases. Update: You can read our updated article on the court’s denial of plaintiffs’ renewed motion for class certification here. It is also important that you know that, as of the date of this blog post, Bona Law represents a defendant in the In re Capacitors Antitrust Litigation, which also will involve a class certification motion from plaintiffs and similar issues. So please evaluate anything I write with that in mind. In fact, even though we will represent businesses as either plaintiffs or defendants in competitor antitrust litigation, Bona Law will not—except in rare or unusual circumstances—represent a class action of plaintiffs in an antitrust action (at least as of now). We will, however, represent defendants in antitrust class-action cases, as I have many times over my career. To learn more about how Bona Law handles the defense of complex antitrust class actions, including MDL cases, read here. So, the bottom line, is that I come to these issues from the perspective of an antitrust attorney representing defendants in class action litigation. It is a good practice when reading anything to always understand the perspective of the writer, to understand biases, blind spots, or how their experiences can cloud their explanations. I do my best at The Antitrust Attorney Blog to provide useful information rather than propaganda or corporate double-speak, but I am human with all of the weaknesses and limitations that come with that. If you want to read about how alleged anticompetitive conduct morphs into a significant antitrust class action, check out our prior blog post. Plaintiffs will collect a lot of transactional data and other discovery from defendants. They will pass that on to their expert economists, who will submit a report that plaintiffs need to satisfy the elements of class certification—which is their burden. Defendants, of course, have their own expert who will attack plaintiffs’ experts and often present their own economic theories. The primary issue in dispute is usually whether common issues predominate over individual issues—from Federal Rule of Civil Procedure, Rule 23(b)(3). And the most likely disputed issue that may be either common or individual is the impact or damages from the alleged anticompetitive conduct. 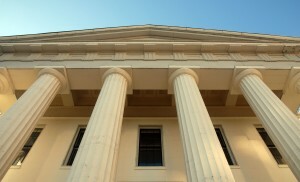 The Court is not tasked with determining the merits—including whether there was, in fact, an antitrust conspiracy—so the parties will often at this stage fight over whether if there were a conspiracy, the plaintiffs’ experts can establish a reliable methodology to show that there is a common impact to the many class members. Of course, issues of merits are usually entangled within the class-certification questions. Another issue that is increasingly important in antitrust class actions is typicality—whether the named or representative class members are “typical” of the unrepresented members of the class. This battle usually happens on two fronts during class certification: (1) motions to strike the plaintiffs’ expert economists’ testimony for lack of reliability or something similar; and (2) whether plaintiffs can satisfy the elements for class certification. That, in fact, was where the parties fought in the papers for class certification of the Lithium Ion case. The Lithium Ion Batteries case involves allegations by named class members of a multi-year, international price-fixing conspiracy among Japanese and Korean manufacturers (and their American subsidiaries) of lithium ion battery cells. There are separate classes of both direct and indirect purchasers. I may write another blog post in the future on how this works, but basically, federal antitrust law mostly prohibits indirect purchasers from suing for damages (see Illinois Brick), so there is often a separate class of indirect purchasers that seek relief under state antitrust law (and sometimes for injunctive relief under federal law). Anyway, indirect and direct purchaser plaintiffs and defendants produced expert reports for class certification. Plaintiffs sought class certification. Defendants opposed class certification and sought to strike plaintiffs’ expert reports—which, if successful, will often effectively knock out class certification. First, the Court granted (at least in part) defendants’ motion to strike the expert reports of one of plaintiffs’ experts. With regard to the indirect purchaser’s expert, the Court held that the expert’s analysis relative to the issue of the pass-through rate was too abbreviated. More specifically, even though the expert claimed that the pass through rate was close to 100% for the class, the Court doubted that the analysis captured the variety of different types of class members and product categories. Indeed, the plaintiffs apparently had not obtained data from “any of the packers for the cylindrical batteries covered by the class definition.” (19). In addition, the Court held that neither plaintiffs nor their experts explained how the pass-through analysis demonstrates that the antitrust impact is passed on to each level of indirect purchasers in the distribution chain. This is, of course, the burden of indirect purchaser plaintiffs. The Court ultimately rejected class certification for the indirect purchasers. Second, on a choice of law issue I won’t get into (even though it is interesting), the Court held that certain state’s laws should be applied for certain plaintiffs instead of California. Third, the Court rejected defendants’ motion to strike a direct purchaser expert report, but held that the expert’s analysis was insufficient to support class certification. That was because that analysis failed to provide a “firm foundation” for class certification because the expert didn’t complete an analysis based upon actual cost data for any products other than Toshiba laptops, and even in that case the data was limited. The expert acknowledged that the data was insufficient for the other product types covered by the class definition. Once again, this is plaintiffs’ burden. The consequences of this incomplete analysis spilled over into other issues as well—including the question of whether the expert’s model fit the theory of liability, which it did not. Fourth, the Court didn’t make a final decision on typicality for the direct purchaser plaintiffs; it didn’t need to because it rejected class certification on other grounds. But it did call typicality into question. The issue arises from a decision by another district court decision in Northern California called In re Graphics Processing Units Antitrust Litigation, 253 F.R.D. 478 (N.D. Cal. 2008), in which the Court held that differences in products and pricing within the class definition undercut class treatment. This has become an important precedent as there are many class actions in which a named plaintiff is of one size and there is doubt whether that plaintiff could present claims typical of purchasers much larger or smaller. It doesn’t take much thought to realize that a small family business may purchase differently than a multinational corporation worth billions. One is not typical of the other in the marketplace (or, according to some courts, in an antitrust class action lawsuit). In addition, when the class action tries to incorporate separate products, typicality can become a significant issue as a plaintiff purchasing one product may not be typical of plaintiffs purchasing another product, even if they are similar. The Lithium Ion Batteries Court held that this case wasn’t as extreme as the Graphics Processing Units case with regard to purchasers, but there could still be some issues. So it deferred to the issue to a potential renewed motion for class certification. The Court, of course, ultimately rejected class certification for direct purchaser plaintiffs as well. Update: On March 5, 2018, the Trial Court rejected Indirect Purchaser Plaintiffs’ Renewed Motion for Class Certification, which included a new expert report. You can read the court’s decision here. What can we learn from the Lithium Ion Batteries Class Certification Decision? First, antitrust class actions are very specialized; you should hire an attorney—whether you are a plaintiff or defendant—with experience in these cases. Similarly, your economist also needs experience with class certification. Second, federal antitrust litigation is increasingly driven and decided by data issues. And it isn’t always easy to obtain and properly analyze the right data. But to obtain class certification, that is plaintiffs’ burden. It isn’t just a question at class certification of who made the best case with what happens to be available. No, plaintiffs must meet their burden to satisfy the Rule 23 elements, including predominance and typicality (which I think will become more and more important). Third, don’t put your company in a position to be accused of per se antitrust violations like price-fixing, market allocation, and bid-rigging. Federal antitrust class action litigation is expensive and time consuming. And that doesn’t even consider the government investigation costs and distraction. Of course, many defendants did not violate the antitrust laws and ultimately prevail. But if you either run or are advising a company, stay away from anything that could look anything like an improper horizontal agreement (or anyone considering it), even if you are innocent.